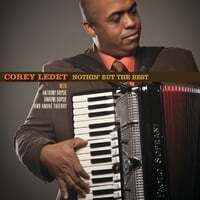 You'll have a tail feather shaking good time with these hot tracks from Corey Ledet. The duet, I'm the Zydeco Man, with Andre Thierry is extra HOTT! !